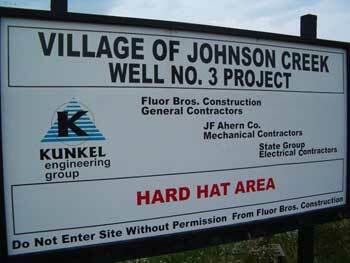 After discovering excessive amounts of radium in the water supply begin generated from Well #3 in Johnson Creek, the Wisconsin DNR required the village to take the well off line. That was in 1987. The DNR’s findings showed some 6.3 pCi/l in the water; 5 pCi/l is the level permitted by the federal Environmental Protection Agency (EPA) for clean drinking water. This finding forced the Village to submit water samples once each quarter until 4 consecutive quarters demonstrated acceptable radium levels. On September 17, 2002 the DNR issued a notice of non-compliance to the Village which set in motion the initiative to remove the contaminant and get the well back on line. Kunkel Engineering stepped in to provide radium removal services and the design and construction of a radium treatment facility as well as the renovation design and construction for the well house. 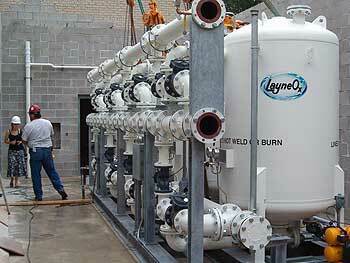 A Layne OX Hydrous Manganese Oxide (HMO) system was installed for removing the radium. 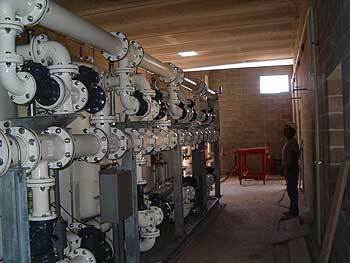 The well was put back into full service in 2007 following final radium treatment and testing. The total cost of the project including the well house rehabilitation and radium treatment facilities was $1,364,000.00.